Content The Summer English Immersion Programme (SEIP) is an intensive English programme. The programme aims to help incoming students improve their English language skills to support their studies at the university where English is the main medium of instruction. The programme falls into three sections, morning, afternoon and evening. The morning sessions will be facilitated by ELC instructors while the afternoon and evening activities will be supported by fluent English speaking international and local Programme Assistants (PAs). Themes, language forms and functions will be recycled between the morning and afternoon sessions to create cohesion within the programme. To enhance the immersive experiences, students are required to reside on campus from Sunday through Friday for the duration of the programme. 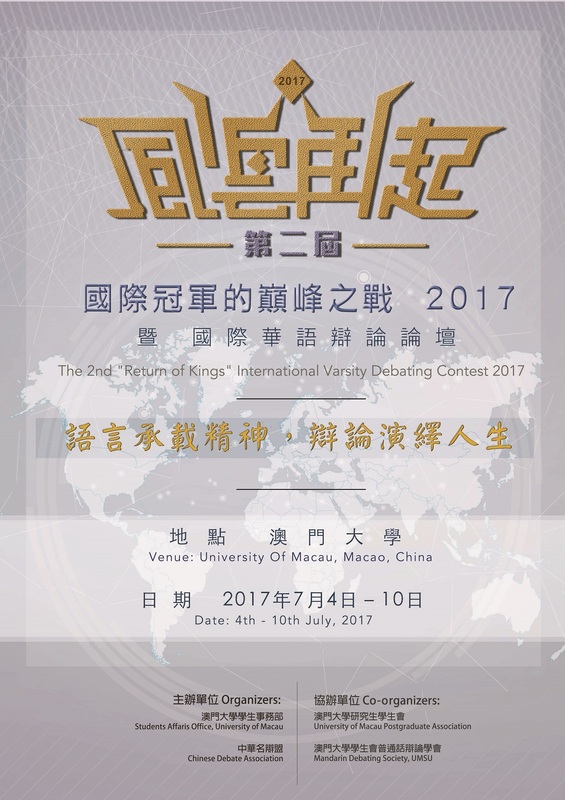 The closing ceremony will take place at U-hall on 28 July, 11am. 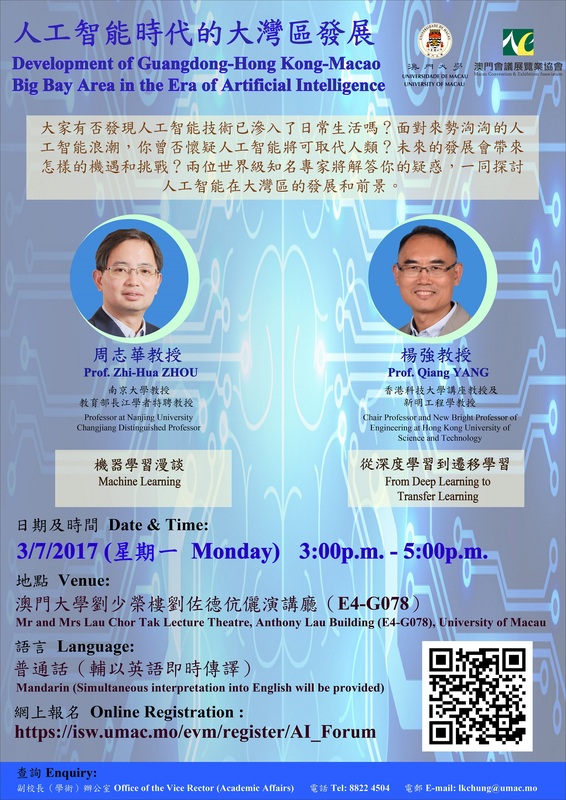 Content Two world renowned experts of AI are invited to discuss the applications and future development of AI in the Guangdong-Hong Kong-Macao Big Bay Area. The ‘Summertime English: An Immersion Experience.’ Programme is designed to provide Macao secondary school students with an immersion opportunity to engage in cultural-related activities using English. In each one-week programme, participants will engage in approximately 35 hours of theme-based activities, e.g. readings and performance, digital story reading and creation, music activities, competitions/contests, workshops, demonstrations, project-work, presentations, etc. Through this Summertime English program, the University wishes to promote to Macao’s secondary school students the authentic use of English in both the everyday context as well as the creative expressions of cultures through individual and group projects and digital story telling. Shown that they can understand and produce vocabulary relevant to creative and artistic practices.